Second edition of Travelers' Choice - Best Airlines, with which the popular TripAdvisor®, he has rewarded them Best 2018 Airlines. In the special ranking, the reviews of users, in terms of quality and quantity, were taken into consideration over a period of 12 months. First absolute place among the best 2018 Airlines is up to Singapore Airlines, considered the air carrier preferred by travelers. For the Asian carrier, 5 Skytrax certified stars, the award is a further proof of its efficiency and reliability. Features that distinguish the Asian companies, this year, absolute protagonists, with 6 carriers in the TOP 10! In addition, this year Singapore is holding prizes, also obtaining the recognition for the BEST FIRST CLASS and the BEST ECONOMY CLASS. 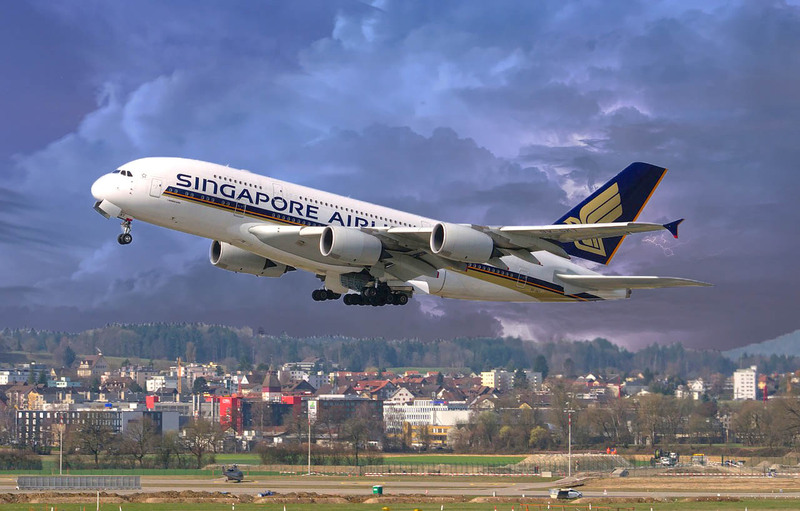 Singapore Airlines precedes Air New Zealand, an airline that makes an important step forward compared to the 2017 (5a classified); among the aspects most appreciated by travelers, punctuality and customer service. To the New Zealand carrier, for the second year in a row, goes the award for the BEST PREMIUM ECONOMY CLASS. Closes the podium Emirates, company that obtained the first place last year. It is certainly not a defeat. We still speak of companies with the highest quality standards. Suffice it to say that in the 2016, he got the Airline Airline Oscar from Skytrax. 10 - Korean Air, South Korea. 09 - Azul Linhas Aéreas Brasileiras, Brazil. 08 - Qatar Airways, Qatar. 07 - Jet2.com England. 06 - Southwest Airlines, United States. 05 - EVA Air, Taiwan. 04 - Japan Airlines, Japan. 03 - Emirates, United Arab Emirates. 02 - Air New Zealand, New Zealand. 01 - Singapore Airlines, Singapore. BEST ECONOMY CLASS: Singapore Airlines, Singapore. BEST BUSINESS CLASS: Qatar Airways, Qatar. BEST FIRST CLASS: Singapore Airlines, Singapore. Virgin Atlantic Airways is recognized as the best European airline. The Greek Aegean Airlines has been awarded the prize as the best regional European airline. Jet2.com, on the other hand, won the award for best European low cost airline.